De Tweede Kamer has very much a vintage feel when you look at the exterior, barely even looking a coffeeshop. De Tweede Kamer – known as De Dampkring’s younger brother – is certainly standing its own, especially in 2004 when it was announced as second place medal winner in the Cannabis Cup, but still, has a very bright future ahead. 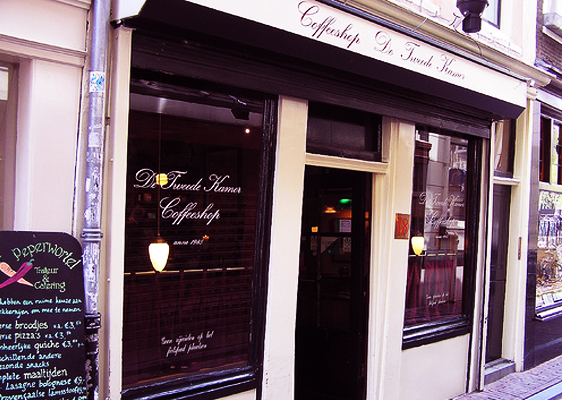 The comfortable, wood-panelled coffeeshop – located in the Spui – has staff that are very knowledgeable when it comes to Cannabis and will guide you through their extensive menu of resin and buds. The staff, along with their loyal and new visitors, are the reason behind the longevity of De Tweede Kamer with existence dates rolling right back to the mid 1980’s. The high quality produce brings in visitors from across the globe and will do for many years to come. De Tweede Kamer is a must on your Coffeeshop Tour.